As I've promised in last recipe post, this is the other delectable dish along that I've made on Friday along with the prawns and chive gyōza for my Japanese theme supper. I am an avid fan of the wonder that is aubergine. To me, it is one of the most delicious vegetable there is. When cooked right, you can a soft creamy textures and a sponge-like ability to take on and absorb any flavours that you paired it with. 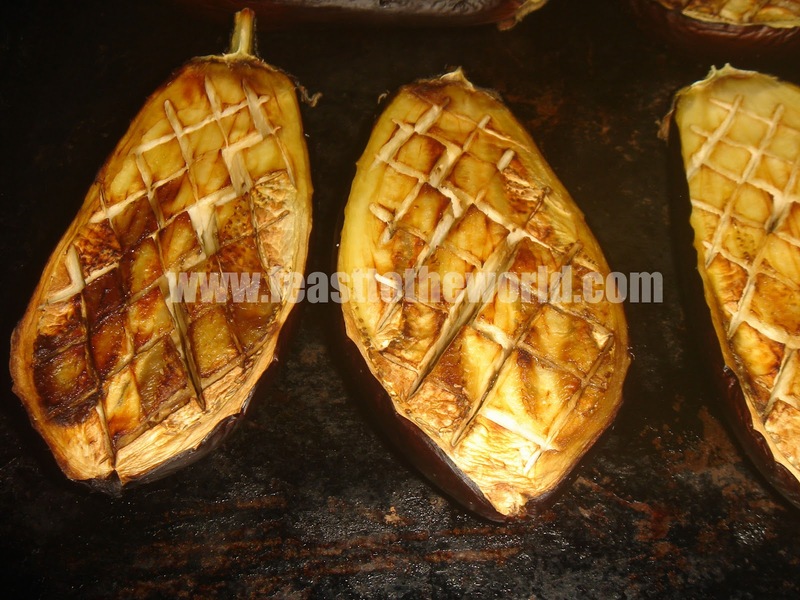 There are of course may variety of aubergine throughout the world. Eggplant, as it is known across the pond is of the same variety. 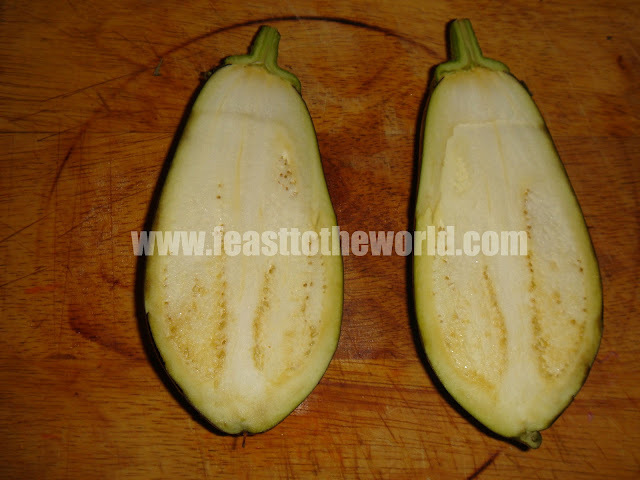 However, there are the Southeast Asia Brinjal, which is slightly longer and paler in colour. This is my favourite not only because it's the variety that I've grown up and familiar with, also due to the fact that it contain less moisture and therefore is much more sweeter and less bitter in taste. In Thailand, you get the small and round variety, sometimes green in colour, and these are orally used in their infamous Thai green curry. I have been constantly trying to come up with different ways and methods of cooking this wonderful purple fruit/vegetable. Aubergine dengaku is my favourite as it doesn't requires a lot of ingredients and yet it produces this wonderfully slightly salty, savoury sweet and tasty dish. 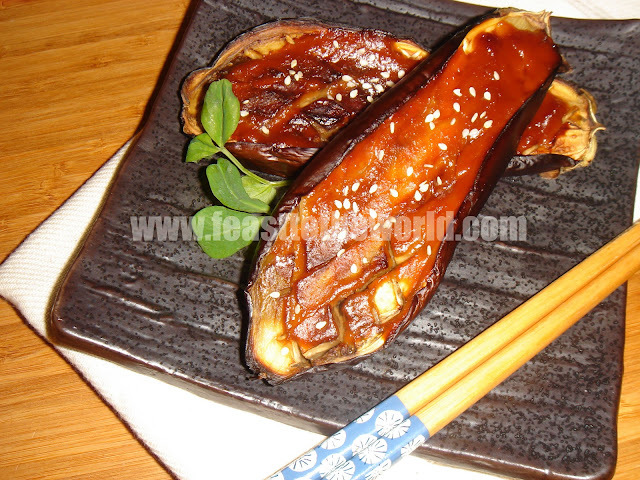 By finishing off the aubergine under the grill, it caramelised the miso and you get a nutty and rich topping which just balances out the soft, creamy aubergine perfectly. This is great in it's own as a starter or light lunch, but you can also serve it with a bowl of steam rice for a more substantial supper. 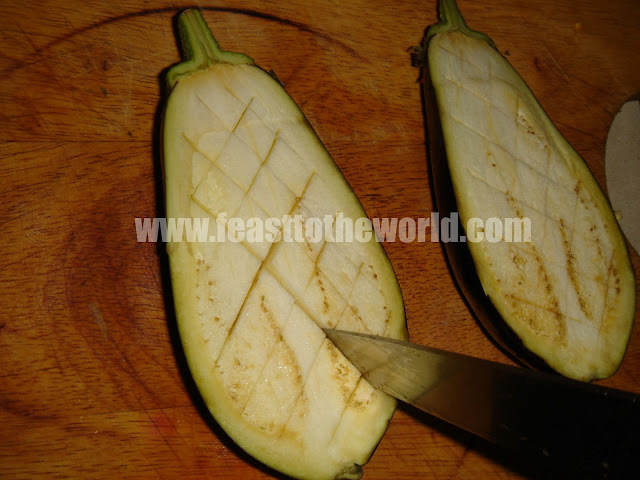 Cut the aubergines in half lengthwise and use a knife to score the flesh in a criss-cross pattern. This help the sauce to permeate the aubergines. 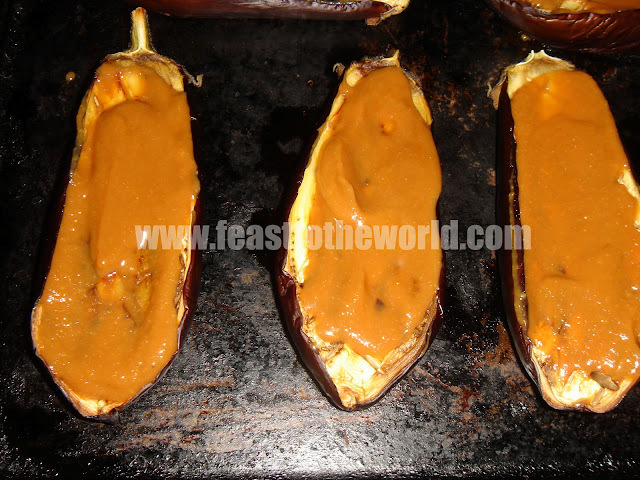 Brush each half with the oil and roast in the oven for 25-30 minutes, until the top of the aubergines are browned and cooked through. In the meantime, place the miso, sugar, mirin and dashi in a pan and heat over a medium heat, stirring regularly, until the sauce has thicken. 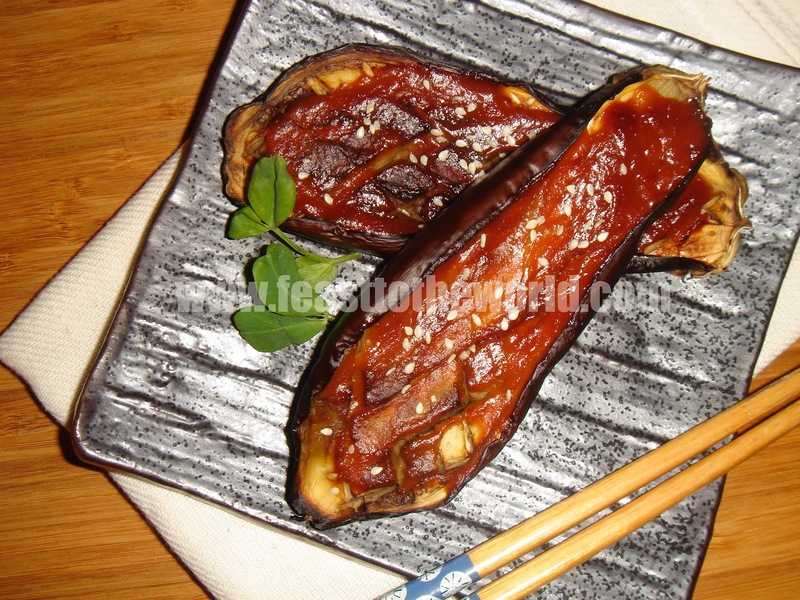 When the aubergines are cooked, remove from the oven and spread a thin layer of the miso sauce over to top. Sprinkle with the sesame seeds and pop under the grill for a minute or so, until the sauce slightly caramelised (The sauce burn very quickly so keep your eyes on it when doing this).